A mother's love. A daughter's battle. A family's journey. What would you do if your child stopped eating? 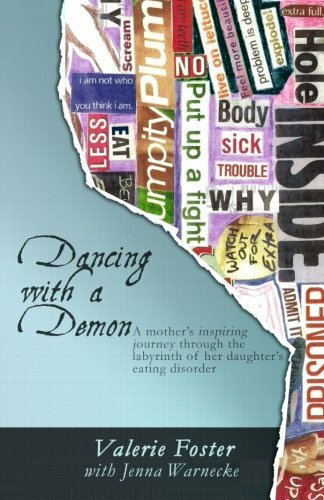 Dancing with a Demon is the true story of a mother searching for answers through the labyrinth of her daughter's struggle with an often fatal and perpetually mysterious disease. When author Valerie Foster's teen-aged daughter, Jenna, plunges into the dark world of anorexia nervosa, Valerie has to fight against a demon that threatens her daughter's life and her own mental health. Her riveting narrative, along with Jenna's revealing journal entries, explores the complexities of the mother-daughter relationship and how this disease affects one's entire family. For psychologists, educators, teens and parents everywhere, Dancing with a Demon provides hope, understanding, and enlightenment. 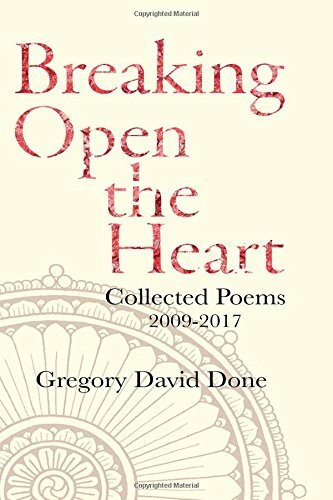 Breaking Open the Heart contains four works of poetry written by Gregory David Done from 2009-2017. In these collections, Gregory attempts to describe spiritual and personal growth in the only form of language adequate to do so—poetry. In the author’s own words, “you cannot know, you cannot explain, you cannot answer the great riddle of life, the mystery of the universe… the highest wisdom, it turns out, is the discovery that you know nothing. When you discover this ‘nothing’ you step out of the symbolic world and into the real one… the fruition of this discovery is wonder. Resting in wonder, you begin truly to see this mystery, to live in it, to dwell in it, to experience the nature of Reality directly for yourself. Only then does language find its true purpose—to describe the indescribable, to say what cannot be said.” Breaking Open the Heart invites us on a deeply personal and honest journey into the depths of struggle, insight, and resolution.